In the Manhunt on the Moon Tata O’ Reilly, the Chief of POLICE OF Lunar City, half Massai Warrior and half Irishman, teams up with Inge Pierson, the beautiful Swedish chief of the Copernicus city Special Victims Unit to track down Charlie Truong through the wild parties of Copernicus City and into the deep canyons of the Far Side. Charlie has raped and murdered 7 women in Lunar City and Copernicus city. The pace is fast and never slows down. As in The Moon is not For Sale, the voice is very chatty and you feel you are perhaps listening to your uncle or grandfather tell you about people he knows. You get so close to the characters you get to feel what they are going through. Koemi can rescue people from their deepest despair. Harata can intuit a person's innermost thoughts. Eleanor can make sick people well. None of them knows each other, but these three young people share an astounding destiny: they were born to heal the world...They are The Healers. With the guidance of an old master named Agostino, the three teenagers embark on separate missions around the globe to vanquish the planet's darkest forces. Koemi saves people from self-destruction. Harata thwarts would-be terrorists. Eleanor instructs others on how to grow their natural psychic abilities. Individually, they are powerful agents of good. Melded together as a group, who knows what unimaginable energy might be unleashed? That question is what drives the villainous Venceslao, who is on a mission to capture the three healers and others like them, then harness their talents for his own malevolent purposes. And it will be up to Koemi, Harata and Eleanor to find a way to stop this deadly adversary in time to save all of humankind from utter annihilation. Donna Labermeier has a bachelor's degree in English literature from Vanderbilt University and has spent years studying energy healing and spiritual development. She lives in Cincinnati, Ohio, with her husband and two daughters. The Healers is her first book. MONTRÉAL (May 19, 2013) An erudite dog's perspective on life in and around Montréal and the Laurentians during the 1970s unearths a meticulously crafted tale about the human condition. As we follow Daisy, a flaxen-haired cocker spaniel, on her life's journey, we join others in theirs: Monique and Harry and their three children; feisty Aunt Iréne; Monique's cougar friend Marina and her dalliance with Monique's son; Brunhilde the singing teacher; a pair of sociopathic cockatoos and, through their language and music, they share their stories with Daisy, the all-seeing, all-hearing witness. With her lyrical and poetic writing, Montréal author and musician/conductor Bernadette Griffin shares her love of classical and 60s music alongside the great poets Rilke, Whitman and Frost. Like Racing in the Rain, Canine Confessions gives us a mind- and heart-expanding view of the world as experienced by man's best friend. I was born in La ville de Québec and went to school there. And as early as Grade One, I fell in love with learning—and with the piano in the school lobby. For every morning, a thunderous version of The Maple Leaf Forever was played on it, marching us two by two into the lobby and up into the classrooms, like soldiers marching into battle. Soon enough I was having piano lessons with Sister Camilla Gertrude—that is, eight years of lessons, plus exams and recitals and going to Saturday afternoon symphony concerts at the Palais Montcalm with maestro Wilfrid Pelletier. What will I do now? I asked myself on leaving high school, my piano books now stuffed away in a drawer. First , you better leave home, I thought, the world is waiting and it may tell you who you are and what to do. So I went to Montréal and to nursing school, and after graduation and caring for patients and teaching students as a clinical instructor, again I asked, What now? Soon I was in my studio, teaching others to play the piano, all the while also singing at church and soon directing the church choir. Why not learn about singing now and conducting a choir with and without orchestra? I thought, and I did, founding the Donovan Chorale, a concert choir, and later Les Chanteurs d’Orphée de Montréal , a chamber ensemble dedicated to the performance of contemporary works, the two groups singing and singing, their singing so fresh, so heartfelt, enough to win the praise of music lovers and critics alike, not to mention one prize after another, their performances regularly airing on CBC radio and Radio-Canada. What will I do now? I asked myself, looking at my bank account. First go to school again, learn more about the languages you speak, French and English, read and study. And I did, read and study until Concordia University said, “hey, you deserve a diploma for all that, you can translate from one language to another, medical texts and documents.” And I did, all the while learning how to write my own words and sentences and stories, and that is what all of it has come to… trying to make it all true and beautiful. 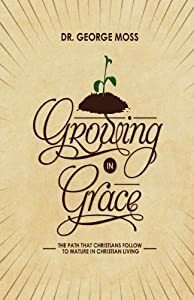 Growing In Grace Free Kindle Download! These can be your best days as you awaken to righteousness and leave the old life of the flesh behind and pursue God the Father, Jesus the Son, and the Holy Spirit.Growing in Grace teaches how to step into the Spirit of God and walk and live in the fullness of His Spirit every day of your life. You have all the power you will ever need. Learn to access it. Access starts first with the love of God and forgiveness. He will talk to you if you talk to Him. God is no respecter of persons. Four key definitions of "grace," • God divinely moving upon your heart, giving you the ability to do what you could not do in and of yourself and receiving what you could not receive, again, in and of yourself. • Unmerited favor. • God's riches at Christ's expense. • A relationship of favor, which gives one access to another's wisdom and power. The most extraordinary discovery in the field of religion in thousands of years, one that will affect Western civilization’s both secular and religious people, is the research findings of the sync between the Biblical story of creation with the teachings of modern science, and with this proof of creationism blind faith is no longer needed. The ramifications range from the social, to the political, and to the educational as school board battles between evolution theorists and those of intelligent design will be brought to an end. Science teaches that the world was formed over 4 billion years ago, life started in the oceans, dinosaurs were not a mistake as birds evolved from them, the Sun was created at the same time as the Earth, etc. Now we learn that there is no conflict with the scrolls of Moses if we translate them using the etymologic derivate meanings of the key Hebrew words with their intended usage in the time period of the Exodus. That proper translation then gives us a story making the Bible (Torah, Old Testament) literally in sync with the teachings of modern science and ending all conflicts between them as this proof of creationism means blind faith is no longer needed. The research findings in question have been detailed in our book “WHY HUMAN BEINGS DO NOT NEED BLIND FAITH TO BELIEVE IN CREATIONISM.” This work should cause a new perspective on life for both religious and non-religious people. Religious people no longer need blind faith and non-religious people have to face a world that has proven there is a Supreme Being (otherwise how could the Bible have known all the scientific facts of the creation story showing their sync between Bible and science that proved creationism?). The Light Of Innocence Free Download Today! During my years from childhood to adulthood, I often wondered why I should believe that Mary gave birth to Jesus while she was a virgin, which indicated that Joseph was not biologically, the father of Jesus. Concluding that it is the New Testament that made the story real, I conducted an in-depth study into the life of Christ Jesus. It seemed Jesus was at an advantage because he was born from a spiritual Father but so was Adam who sinned, which would prove the situation fair. Since that Jesus is the last Adam and Alpha then we who have been born with biological parents serve the purpose of replenishing the earth, which is the mystery in the Word of God. We must adopt to the life and death of Jesus to understand his mystery and it is for such a reason that I have done a self-study. I have studied only the King James Version of the Holy Bible to discover Christian living and was overwhelmed with the misconception of such a life. My many discoveries I kept in perspective by writing and after several pages I decided to share the facts with you all. The Light of Innocence is from the fact of not knowing, yet I celebrated according to the system I lived in. I am a light because diligently I worked to uncover the mystery and live according to the truth that I discovered. The titles I have chosen, list my progress as I walked in the way of Christ Jesus and since that I am a new beginner that is a converted child of God, my concept on Christian living is true. Part two of this book is the strength of my belief; after discovering the laws of the spirit and situations wherein we must separate from unfaithful Christians, I literally experienced that God never will leave or forsake us. He does this for everyone, except those who blaspheme the Holy Spirit and since his saints are the direct opposite, discovering that, which characterizes a saint was written in this section. I knew then that I had a good relationship with the Son of God. Part one deals with the basics: Christ Kingdom on the earth. I emphasized that we must understand, grow and sustain our spirit to have a good relationship with our Lord, Jesus. That which is put in place such as eternal life and the house of prayer is to help us sustain our relationship with Jesus and avoid the temptations that may lead us back into the world. A reminder that the world is everyone and that we are dealing with current issues just as the world is, yet the children of God are expected to overcome the world. The Light of Innocence is one way to deal with the current issues. Last but not least are two articles that are to remind the children of God of their task and that our Lord is hated by many. These articles should make us aware of the people we are up against. I grew up in a respected community in Jamaica, West Indies where I attended church regularly on Sunday mornings. Going to church was like a hobby, one that I gained some knowledge on Christian's behavior, and though I started at a young age, it was my will to attend church. However, both my parents were disciplined to grow up a child like me. My mom however, God rest her soul, was the parent that emphasized the fact that I should pray before bedtime, and before the days begin. This is a tradition that I have continued to the present time. Now that my wisdom has increased, I am grateful to Almighty God, because I have been led by him, from then to the present to write this book for the world to read. Growing up in Jamaica, I idled out my high school years, but was fortunate to migrate to Canada within a year after my graduation. My schooling years in Canada have not been much of a success either, but I have never strayed away from God's will. After I watched and listened to the many faces and voices that have preached and taught the gospel of Christ Jesus, I disciplined myself to begin a self-study of the Holy Bible (KJV). It was about the year nineteen ninety-seven or ninety-eight that I started such a study of the Holy Bible, which resulted in my book, The Light of Innocence. Author J. Douglas Knauer gives readers a heart-pounding, pulse-racing ride with Vendetta, a thriller that takes readers from the dusty streets of Iran to the heart of America on a perilous journey. Readers will delight in Knauer’s use of current global issues to detail her novel, as the realism and vividness of the characters seep through the pages, taking readers directly into the story from the first intriguing sentence. Readers are already singing the praises of this well-written novel, calling it a “great thriller, complex and well-written”. Knauer’s novel is interwoven with underlying themes of loyalty, love, and the hidden prices that come with the need for revenge. The characters are fleshed-out and original, and the plot is as fast-paced as it is enthralling. Ava Sevani ignored her father’s warning, sent to her from beyond the Canadian border where he had been hiding. Too late, she realized that she should have, as men began chasing her across Germany, leaving countless bodies in their wake. A continent away, her fiancée, Dr. David Badalian, also needs to warn the pregnant Ava away from danger, but, since he was kidnapped immediately upon his arrival at Chicago’s O’Hare airport, his current dire straits render him unable to let her know that her life, and his, hang in the balance. Ava’s former lover, Canadian pipeline tycoon Dirk Brown, is determined to reclaim Ava. Known to Homeland Security as a mercenary going by the name ‘Nail’, he has taken Dr. Badalian, intending to use him to relieve his pain from a spinal injury, and also to coerce Ava to come back into his life. In addition, Ava’s father’s formula, a deadly mixture, is on his list of wants, putting Ava in more danger than she, her father, or her fiancée can imagine. Nail’s manic desire to rid the world of the Republic of Islam is putting the world under a powerful threat, and it falls to Ava to help diffuse the danger he presents before it’s too late. Judy Douglas Knauer is the author of four popular novels, including A Dirty Way to Die and Vendetta. A former journalism reporter, she received fourteen journalism awards, including eight peer awards from the Illinois Press Association’s Better Newspaper Contests, Division B. She now lives in northeast central Illinois, where, as a mom to two daughters and two sons, she enjoys writing, gardening, fishing, going on adventures with her husband, and knitting for her grandchildren. To write Vendetta, she searched out buried stories and conducted interviews with a native Christian Iranian who escaped Iran in the 1980’s. 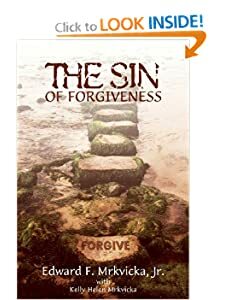 Today's "forgiveness" does just the opposite of what forgiveness is meant to accomplish - put another way, secular forgiveness causes more harm than good. The one forgiving is never made whole again, while the sinner is left in the same wretched condition. But true Christian forgiveness brings a blessing to all. We are to forgive, but it must be according to the example and teachings of Christ. Anything less is a sin. Edward Mrkvicka is a lay minister and counselor, and life-long Bible student. His religious writings have been awarded Best Christian Book of the Year, Best Christian Study of the Year, named a National Best Book Awards finalist, and a winner in the Christian Choice Book Awards. He has also been awarded the prestigious Faith Writers Seal of Approval. His efforts on behalf of families, understanding adultery, and the devastating effect of divorce on children have earned him a United States Certificate of Special Congressional Recognition. A Dangerous World Free Today On Kindle! Author Richard A. Valicek takes readers on an amazing journey through a world filled with medieval horror and fantasy in ‘Alamptria: Bloodstone Crypt’. May 15th Download Free on Kindle! Author Richard A. Valicek takes readers on a wild and exciting adventure ride in his book, Alamptria: Bloodstone Crypt. Filled with memorable, intriguing characters, an unconventional love story, and dangerous villains, Alamptria: Bloodstone Crypt is a perfect addition to the library of all lovers of the fantasy genre. Set in the mythical land of Alamptria in the eighteenth century, the free people of Elysium are facing a powerful and dangerous threat from the evil force of Mount Drone, home of the dark lord Makoor and his legions of blood-drinkers. A great elf-wizard, Grongone, from the land of Petoshine, has bestowed three claymores of unbelievable power upon three knights of Elysium. These knights and this unimaginable power will shape the land and bestow freedom to those who dwell within it. Melina Hampshire, a beautiful and brave princess, has been fooled by the evil and treacherous Tyrus Clore, and has been taken to the land of Plaphorius, far from her home, where she is undergoing the terrible preparations of willingly giving herself over to the undead. While her life hangs in the balance, a seed of vampires has been strategically placed in the city of Koriston, hoping to annihilate the entirety of the human race, and making the land a haven and home for the blood-drinkers and their evil masters. Caprius Seaton, Melina’s soul mate, must enlist the help of the Elysian army to race against time to save her, and the world they know, from Tyrus Clore and his legion of doom before it is too late for all of them. With richly written characters and a fantastical world that is, in many ways, no different than our own, Alamptira: Bloodstone Crypt will have readers furiously flipping pages until they reach the amazing conclusion of this stunning novel. Richard A. ValicekBorn and raised in Toronto, Canada, Richard Valicek is of Croatian descent. After graduating college with a degree in liberal studies, Richard began his writing career in 2001. His first novel, ALamptria: Red Moon Rising went on to win the 2011 Buzzillions Reviewers Choice Award, and he later decided to rework the novel itself to create Alamptria: Bloodstone Crypt, once again engaging readers in the fascinating world of Alamptria. There’s an epidemic sweeping across America but no one’s taking it seriously. The infected look like normal Americans, at first, but then they open their mouths and foreign words leap out known only to inhabitants of their special nation: left coaster, mama grizzly, Obamacare, drill baby drill; or neocon, glass ceiling, teabagger, I didn’t inhale. Drop the word “multiculturalism” and half of them will have an immediate allergy-like reaction. Their faces will turn red with fever as they glide away from you. Drop the phrase “lamestream media” and the other half will cringe and hold their brow with a splitting headache as they back away from you. These otherwise normal Americans are obviously suffering from something. The author in this pioneering book has discovered what that is: severe, extremely contagious viral illnesses that are plaguing the entire country. He reveals here in layman’s terms the infection, spread and treatment of these viruses. They make us insanely ill and susceptible to conspiracy theories, and are so easily passed between individuals by speeches, handshakes and karaoke. He discovers Viral Media is not just a figurative expression. One morning an infamous radio personality spouts off a misinformed, belligerent opinion. By that afternoon the author’s research subjects are repeating it with the same fever and refudiation. The viral words of the opinion had infected them and seemed to have taken possession of their minds like some voodoo zombie incantation. No one is safe and many are contaminated. Treatments are provided so that they may become virus free and regain the ability to associate with those “other” Americans—those infected with the opposing virus. If you are tired of the partisan arguing in our great country, this book is guaranteed to lift you to higher ground and make you LOL. If the status quo of politics-as-usual causes a profound need in your brain for levity, this book is meant for you. It satirizes both camps of the finger pointing, bumper sticker mentality, while offering thought-provoking vantage points to view them. As partisan passions grow ever more heated under America’s current political climate - further intensifying global warming - the rancor of debate becomes more foul and repelling. The narrator is a fictional researcher who has discovered the cause of this: highly contagious, heretofore undiagnosed viruses that plague the entire country. This tongue-in-cheek metaphor provides for the perfect examination of what ails America. It also allows the narrator to give satiric diagnoses and hilarious observations which are a most effective medicine for its remedy. He reveals here in layman’s terms the infection, spread and treatment of these viruses. He interviews many of the fictionally infected incorporating various stimulants - such as burning the American Flag or watching Fox News - to measure the viruses’ parasitic effects. He discovers individuals consumed by viral illness in which they believe Pollsters to be scantily clad dancers who use polls to hold onto while they strip tease and seductively ask what your opinions are. Others believe Women’s Liberation was actually women breaking free from their prisons of suburban boxes filled with torture instruments of stoves and ironing boards, chained to Electrolux Vacuums and glued to daytime soap-operas. Viral media is true. People really do become infected. No one is safe and many are contaminated. 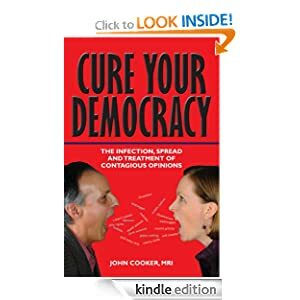 No need to worry as the author provides treatments that America sorely needs if it is to become well and regain its sense of red-blooded humor. Humor is an essential treatment for the condition of Democracy. Fifteen years ago, in a mansion on Long Island, fourteen-and ten-year-olds Sara and Davey “Soldier Boy” Goldstein discover their parents shot to death. Murder? Suicide? Was that Uncle Charlie running from the scene? The children refuse to speak to the police and the crime is never solved. Flash forward to the present and Sara – now an adult and the heiress to a very large fortune - is accused of killing Uncle Charlie. Soldier Boy has disappeared. New attorney Michael Tucker has few clients, yearns to be like his famous grandmother and cannot afford to move out of his parents’ home. When Sara hires Michael, he gets the chance to defend an innocent person, a beautiful lover and notoriety like his grandmother. But is it more than he bargained for? Is Sara innocent or is she really a murderer? Sara awakens in a hospital room where she was taken after fainting. Michael is by her side. Court is in recess until the following day. The verdict has not yet been announced. 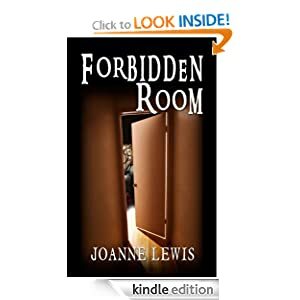 Told from the points of view of both Sara and Michael, Forbidden Room unfolds in complicated layers until the verdict is pronounced and Uncle Charlie’s murderer is revealed. Author and Lawyer Jean Louis Racine gives over 259 tips for negotiating the best lease possible with his ‘Commercial Lease Bible’ series. What are the 9 steps to negotiate any commercial lease? What are the 27 ways to get Free Rents? Author and lawyer Jean Louis Racine has used his knowledge to give handy tips for renters of commercial space in order to help them get the most out of their lease. Using his 35 years of experience, Racine has provided his extensive knowledge to readers with his e-book series, The Commercial Lease Bible. In the first installment of the series, Racine gives readers helpful advice on the many ways they can benefit from a leasing situation, including how they can cash more money from their landlords, the 9 steps to negotiate any commercial lease, and 27 ways to get free rent. Woven throughout are 50 stories from different tenants, highlighting the ways in which Mr. Racine’s advice has worked for them. Readers are already singing the praises of Racine’s series, saying: “His extensive experience is obvious and his tips are very helpful” and “The author takes so much complicated and hard to understand information and condenses and simplifies it into an easy to read book”. Additionally, Racine has included helpful hints on how to lower your rent by 15%, how to terminate a lease, how to negotiate a rent reduction, and the benefits and advantages of negotiating a commercial lease or renewal. An absolute necessity for any commercial renter, many readers are also touting the benefits of Racine’s advice for domestic renters and those looking to find the best landlord/tenant situation that they can. Racine’s experience and easy flow of information shine through in this series, a must-have for any business who rents regularly. Jean Louis Racine has worked as a lawyer and commercial real estate lease negotiator for the last 35 years. He has negotiated more than 1,300,000 square feet of business, office, and industrial leases. His goal was to write the Commercial Lease Bible in a way that communicated his knowledge to readers as though he were telling him his tips directly. Jeanette Vaughan gives readers another glimpse into heroine Nora Broussard’s life in this stunning sequel, ‘Solo Vietnam’. In this sequel to her wildly successful novel, Flying Solo, author Jeanette Vaughan gives readers another glimpse into the life of Nora Broussard, a daring aviatrix who follows her heart. Beginning in sultry, 1960’s New Orleans, Solo Vietnam follows Nora as she travels through her life and an unforgettable time in America’s history. A woman who dared to dream, Nora became a pilot. Born with wanderlust and an urge to live bigger and greater than most believed she could, her freedom in the skies led to heartbreak at home. In the continuing events of Solo Vietnam, Nora’s heart still remains broken, but her spirit is as indomitable as ever. When she learns that her star-crossed lover is thousands of miles from her, flying bombing missions in the dangerous jungles of Vietnam, she pledges to help him however she can. When the U.S. government refuses to let her fly for the war, she turns to her other skills to get her where she needs to go. She becomes a torch singing USO girl, traveling with Bob Hope, and gets more than she bargained for when the mortar attacks and napalm throw her life into uncertainty. When Steve Novak, the love of her life, is shot down over Laos and declared MIA, Nora once again dares to risk everything to reconnect with him and soar above the expectations of women in her time. A heart-stealing novel with an incredible heroine, Solo Vietnam will have readers rooting for Nora and her unbreakable spirit once more. This stunning sequel does the original novel justice, and readers won’t be able to put it down until they’ve read the last page of Nora’s latest adventure. 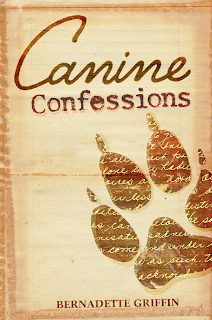 Jeanette Vaughan is an award winning writer and storyteller. Not only is she published in the periodicals and professional journals of nursing, but also in the genre of fiction. Out on her sheep farm, she has written several novels and scripts. Her screenplay "Angel of Mercy" won the outstanding nursing research award from Texas Tech University Health Science Center. In addition, she was named Distinguished Alumni for the school of nursing in 2001 for her written work and volunteerism for the Sydney Olympic Games. Her debut novel Flying Solo was a finalist in the Beverly Hills Book Awards. Jeanette has practiced nursing in the fields of critical care and trauma. She is the mother of four children, including two Navy pilots. She lives in a Victorian farmhouse out in the pastures of northeast Texas with her sheep, chickens, donkeys and sheep dogs. Mystery Noir at Its Finest, Free Download May 6th, 7th, & 8th on Kindle! Author Greg Messel brings readers another spectacular mystery novel to sink their teeth into with San Francisco Secrets, the third installment of his Sam Slater series. Combining the intrigue of late 50s noir with the excitement of a jet-setting adventure, lovers of the detective genre will love San Francisco Secrets. As spring arrives in San Francisco in 1958, Sam Slater, the inimitable baseball-player-turned-private-eye is about to embark on his greatest investigation to date, one that will turn his entire world upside down. Setting the scene with the blackmail of a prominent physician, John O’Dell, the private investigator hired to expose the blackmailer has been murdered, and Sam has been asked to take the case. At the same time, Sam’s TWA stewardess fiancée, Amelia, is being stalked all over the globe as a womanizing older pilot has set his sights on her. As she travels from New York to Paris, London to Rome, she is determined to help Sam while maneuvering her way out of the pilot’s clutches. To complicate their lives even further, a mysterious woman from Sam’s past reappears and tests the bonds of Amelia’s relationship with Sam. As the mysteries pile up, the blackmailer gets closer, and Sam and Amelia’s lives become more dangerous, the risks they take lead them on a deadly hunt in a race against time. After a shootout on Coit Tower and a terrifying ride down Telegraph Hill, Sam and Amelia realize that some people will do anything to keep their secrets hidden. A heart-pounding mystery that will have mystery lovers furiously flipping through pages to reach the shocking conclusion, San Francisco Secrets proves, once again, that Messel is truly a master of the genre. Greg Messel grew up in the San Francisco Bay Area and now lives in Edmonds, Washington, on the Puget Sound, with his wife, Carol. San Francisco Secrets is his sixth novel and is the third instalment in the Sam Slater Mystery Series. Greg has lived in Oregon, Washington, California, Wyoming and Utah, and has always loved writing, including stints as a reporter, columnist and news editor for a daily newspaper. For more information, please visit http://www.independentauthornetwork.com/greg-messel.html. Read Greg Messel's blog at http://www.independentauthornetwork.com/greg-messel.html.